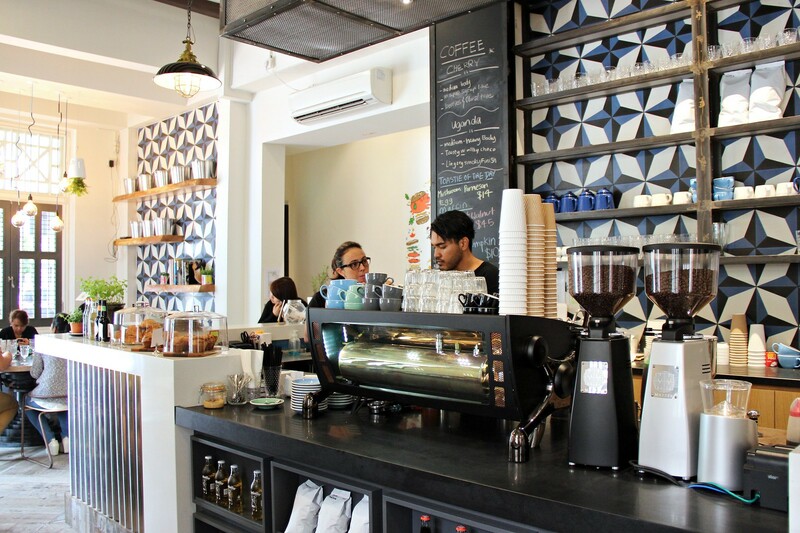 So, so so many new cafes in Singapore. (too many?) 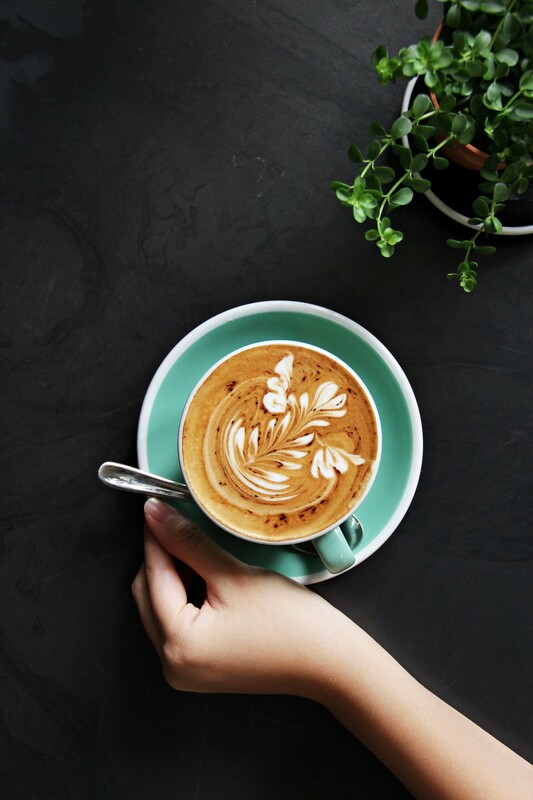 There came to a point in time where I was coming to know about a new cafe each day without fail, be it through Instagram, blogger friends or the world wide web in general. 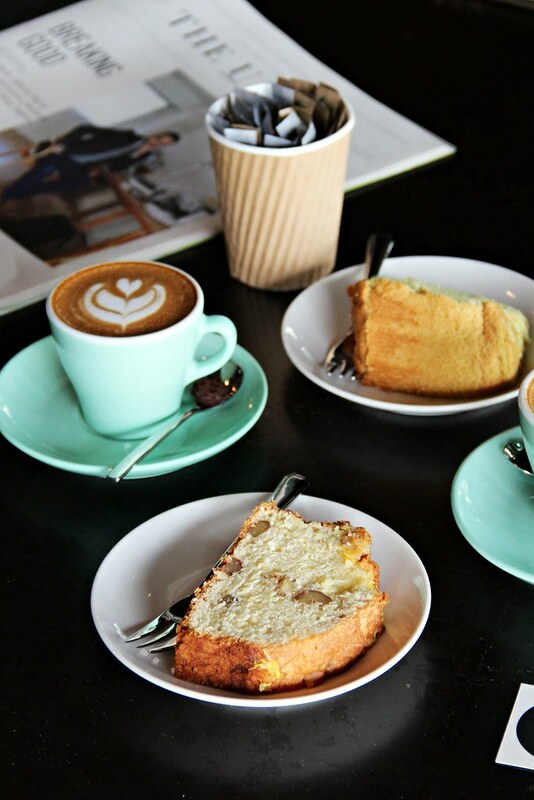 Pretty sure this influx of new cafes started in June or so, leaving us bloggers in a frenzy where we scurry off to as many of those hideouts as possible. 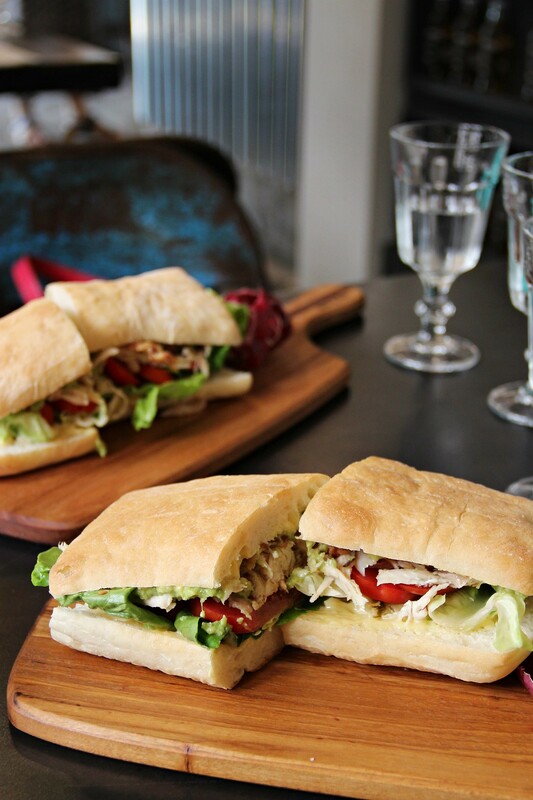 Brought to you by Sarnies, The Lokal is Australian-inspired and has so far gotten the nod from food bloggers and cafe hoppers alike. The space is dim, with some light filtering in through a few windows by some tables. Indie vibes checked. Good thing’s that the layout is well-suited to pack people in groups of 4-5 without compromising much on spatial assets. We checked this place out just this Friday for lunch when the lunch menu was served from 11am onwards. 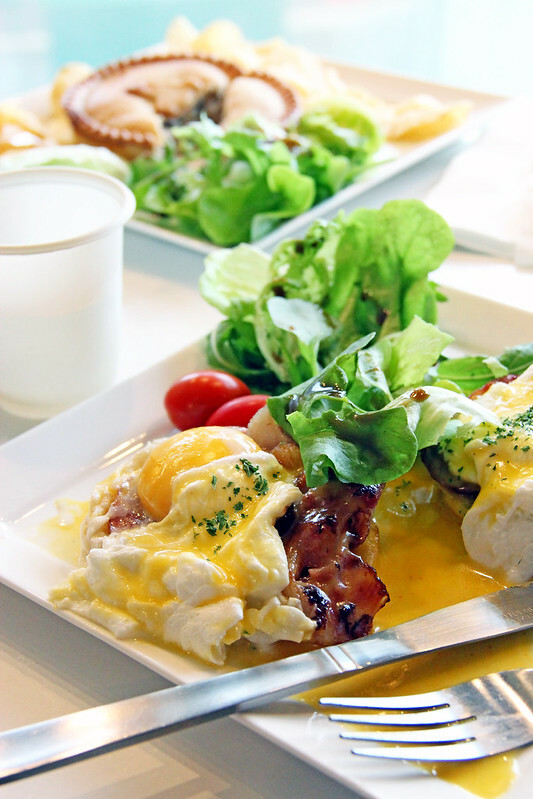 Served from 8am to 11am is the breakfast menu which looked promising and fulfilling as well. Coffee here was such a delight. 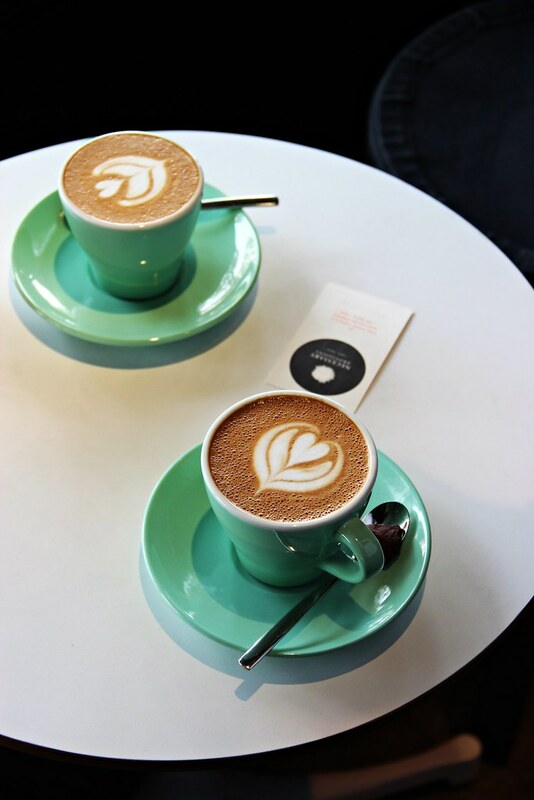 I had the cappuccino ($5.50) – smooth, aromatic, right acidity, no bitter aftertaste. Even the latte art’s on point! On the drinks menu there are also smoothies, freshly squeezed juices, teas and sodas so fret not, non-caffeine takers. 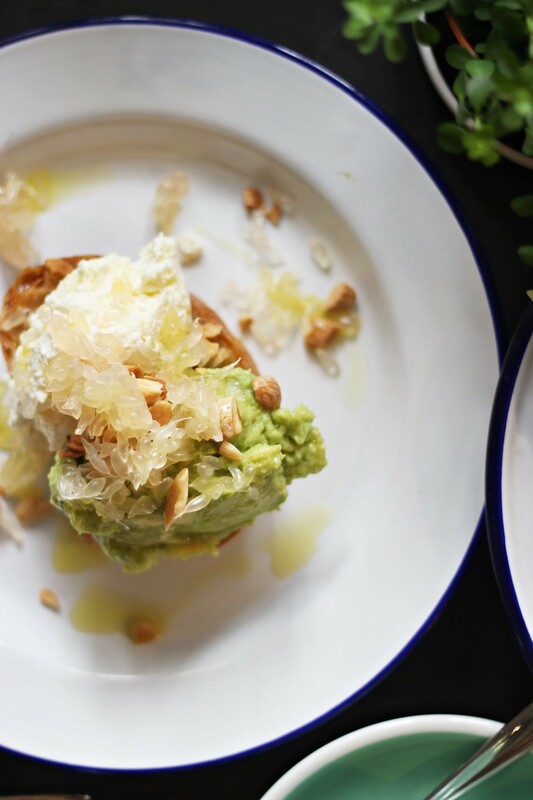 My dish consists of smashed avocado, homemade ricotta cheese, pomelo and toasted almonds on sourdough ($18). A tad pricey though considering the small portion. It’s plain but it makes for something light and healthy on the palate. I’m especially recommending this to all the avocado lovers out there. And P.S. they do place some emphasis on the fact that they make the ricotta from scratch. Another refreshing and light choice would be the Pita sabich sandwich filled with grilled aubergine, tomato, cucumber, boiled egg and hummus ($16). My friend thinks that the hummus makes this colorful dish tastes less simple as a vegetarian option. We also tried the Roast chicken panini with crispy pancetta, tomato, avocado cos and aioli ($15) – coming in a surprisingly bigger portion than the avocado dish. Those with larger stomachs should therefore opt for their sandwiches/burger. The Roast beef on rye, caramelized onions, watercress & grain mustard creme fraiche ($17) and Schnitzel burger, red slaw, grilled pineapple, Emmenthal cheese, lettuce, anchovy mayo on a sesame seed bun served with chunky chips ($28) are yet two other tantalizing alternatives. 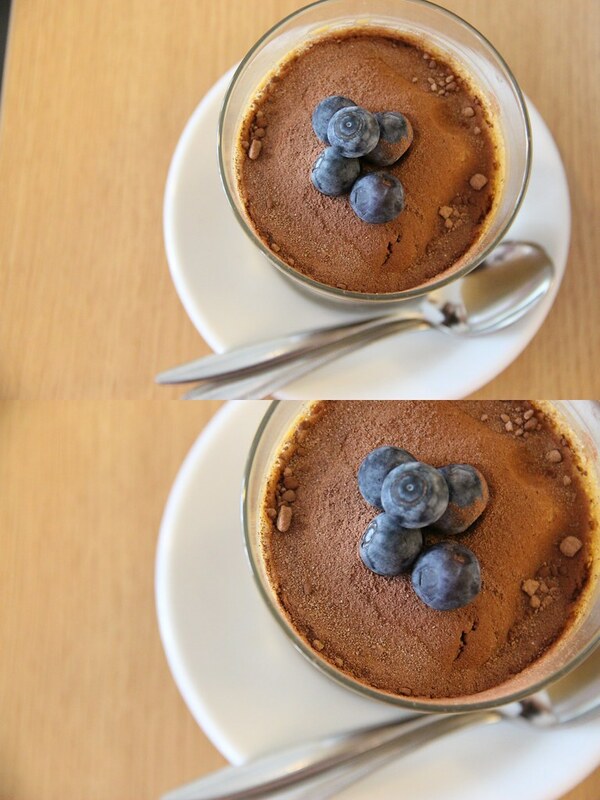 Do not leave without satisfying your sweet tooth. 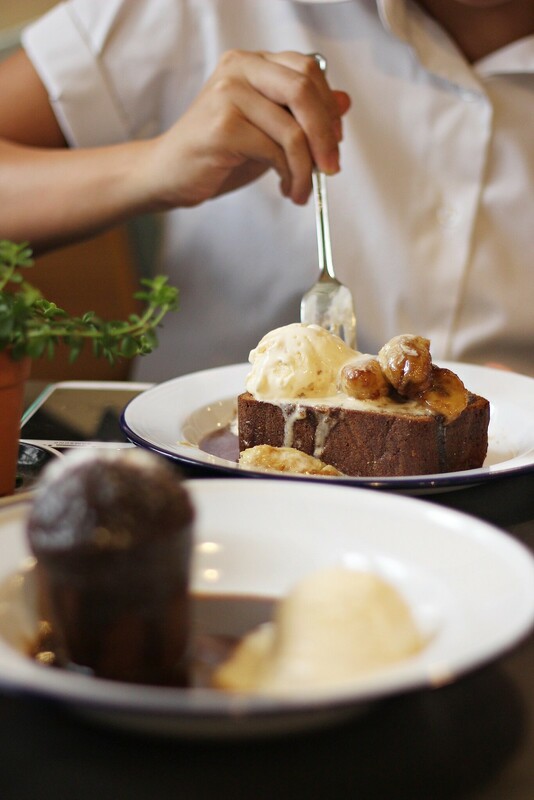 Both the Sticky date pudding with caramelized sauce & vanilla ice cream ($12) and Banana cake with caramelized bananas & hokey pokey ice cream ($12) called out to us so we had both. 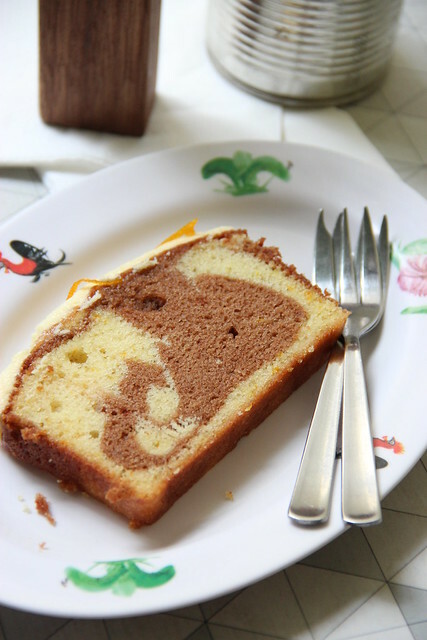 Between the two, our favorite was the banana cake which felt somewhat like a french toast. The cake was soft but substantial enough to be soaked in syrup that didn’t make it too soggy. I loved how it’s not too cloyingly sweet. 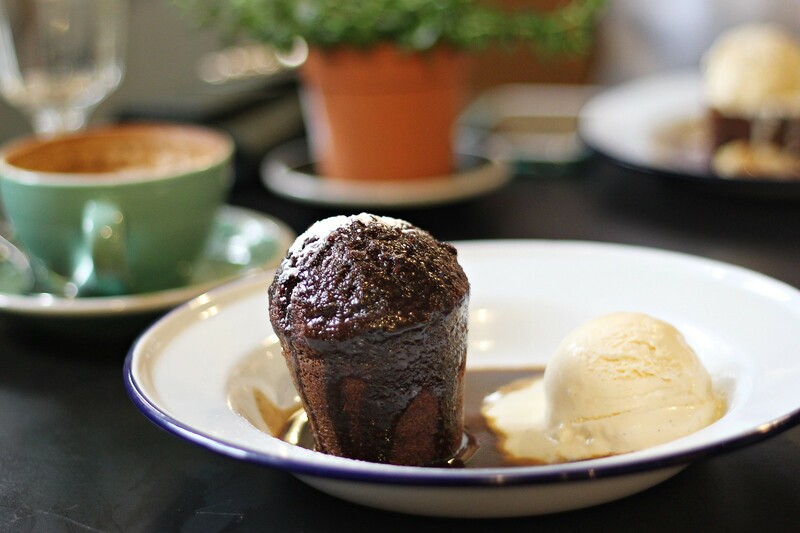 Meanwhile, the sticky date pudding, though decent, was pretty average. I would prefer a spongier pudding which would soak up some butterscotch sauce instead of their version which was too dense for my liking. Overall verdict? I’m giving the nod too. This is one promising establishment amongst the whole new lot of them – friendly service, quality grub. They so deserve another trip down. For a good few months I’ve been dreaming of local coffee joint Necessary Provisions and racking my brains if it’s worth the trip. As a north-eastie, traveling to the western part of the island may be nasty without a personal vehicle. 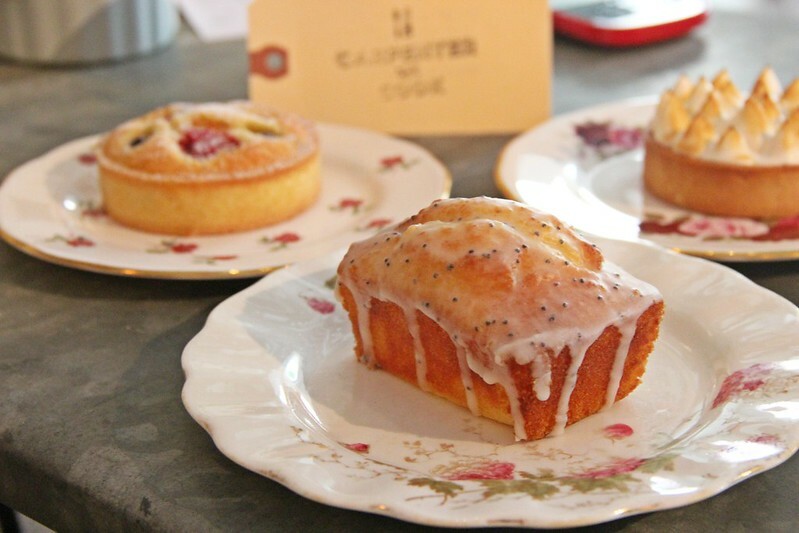 The opportunity came when an instagram friend of mine was visiting from Kuala Lumpur – as a fellow cafe hopper back in her own country, she happened to be interested in N. Provisions as well. I obviously jumped at the opportunity. Thanks to the really ulu location the cafe is set in, I took an hour and a half to get there via public transport – From Clementi Bus Interchange which is next to the MRT station, take bus 173 and alight at the 8th stop. Then you’re left with a hundred metres of walk into Eng Kong Terrace. I like clean, white spaces. But then I like sleek, black spaces even more. 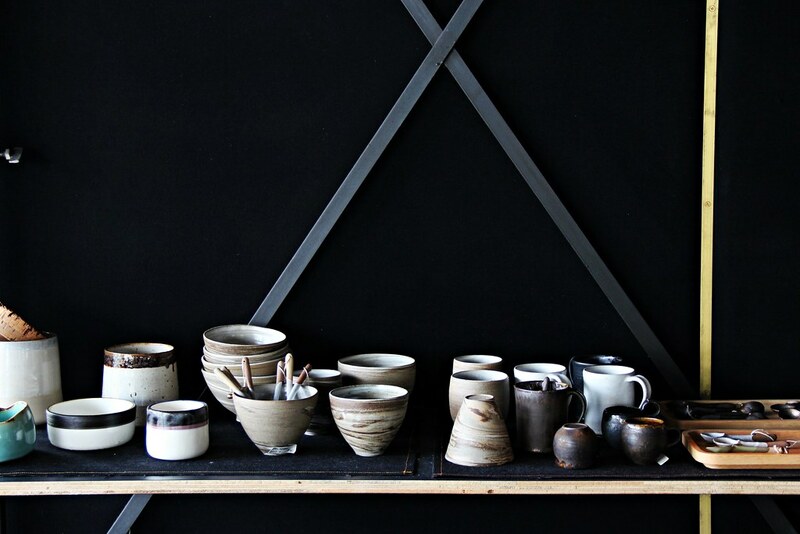 N Provisions has a cool ambience with its accompanying black walls, tables and chairs. The counter (shown above) made of quintessential green tiles, together with a vintage bicycle against it as a backdrop, makes for that obligatory shot for instagram. My favorite is the prominent back wall though. 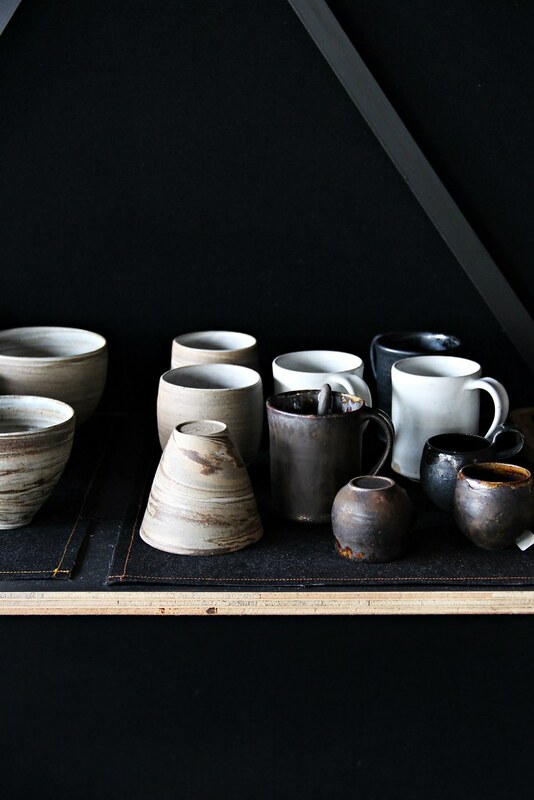 It features a collection of ceramics, coffee apparatus and a random handful of items that, when shelved together, creates a hip background for the cafe. Talk about vibes. Then of course, we started off our morning with their coffee. 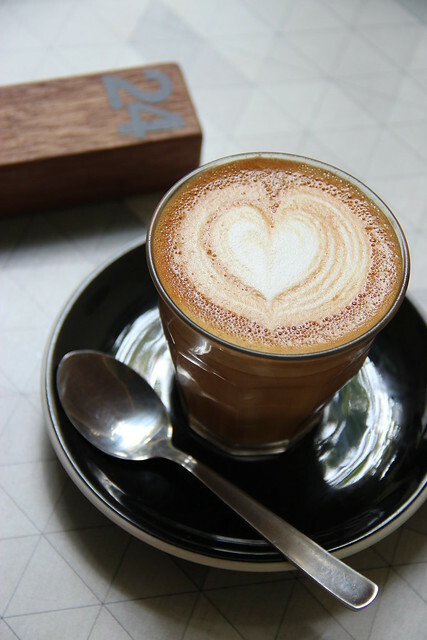 Since NP is by the people behind Smitten Coffee who also set up the now defunct Homebodies and Henry Congressional, you can expect them to be serious about their caffeine fix. I had a White 6 oz ($5) and I love that it leaves no bitter aftertaste. 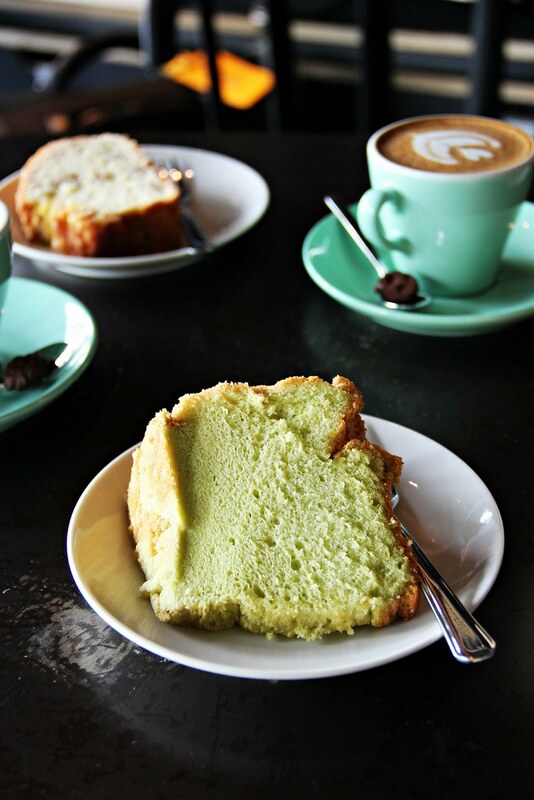 I know I should have ordered more from the menu but we decided to keep it simple that day with a slice of Pandan Chiffon Cake ($4) and Orange Walnut Cake ($4). $4 for a Pandan Chiffon?! I can get a slice for $1 at a local bakery. The pandan chiffon there was a lot fluffier but I would rather save those few pennies for another coffee. The latter was a zesty delight especially with the grated orange rind and huge chunks of walnut. In case you’re feeling hungrier, the all day menu has simple breakfast items like Savory Scones ($5) and Banana Nutella Panini ($5) and sandwiches such as Rosemary Chicken ($9). Available from 6pm onwards is the more enticing dinner menu. From fresh pasta like the Winter Pasta ($14) to the Blackened Halibut ($22) to the Pork Burger with Apple Sauce ($14), the choices are not endless but interesting. 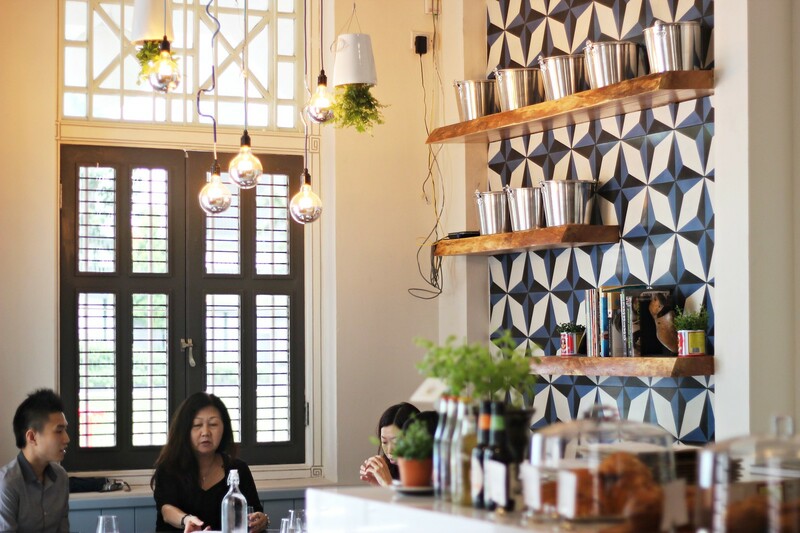 Arbite is no newcomer to the list of popular brunch places in Singapore. It’s cosy interiors created by wooden furniture in a white space is no doubt a less formal, more chillax place for heartlanders to have gatherings there especially on weekends. 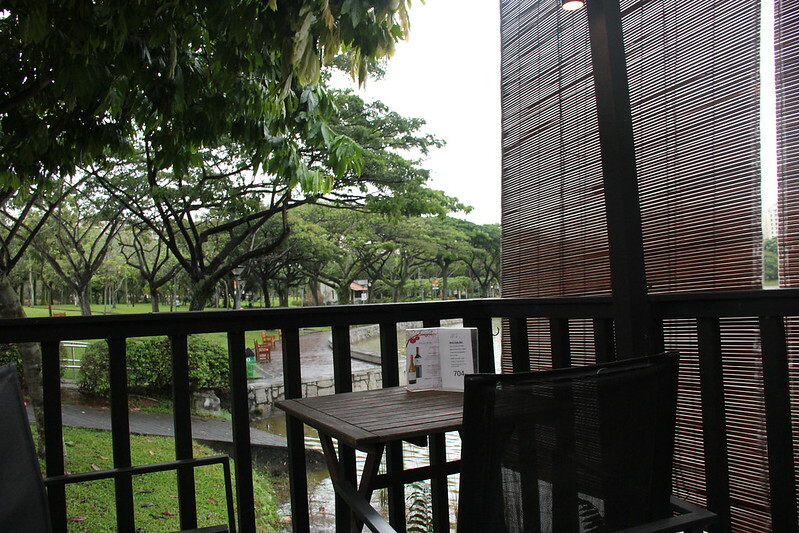 The view overlooking Serangoon Gardens may not be posh but it certainly made the place look airy. I jumped straight into my order immediately. 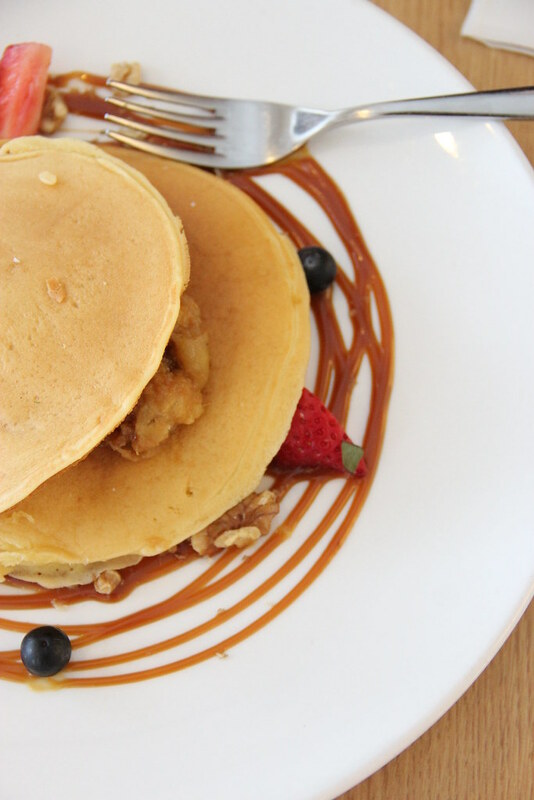 With such a pretty name, the Sea Salt Banana Pancakes ($14.90) was a definite call. With huge chunks of banana heavily caramelized in between the pancakes, you’ll never have to endure an overload of plain, boring pancakes. What’s more, the plate is rimmed with caramel sauce, berries and nuts. 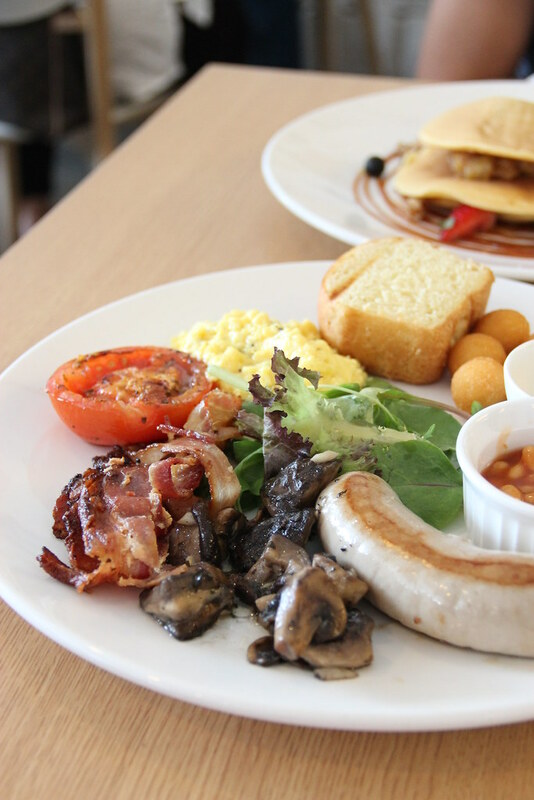 In my opinion many brunch places have mediocre breakfast sets with a random mixture of sausages, eggs….. but even till now, the Arbite Breakfast ($12.90) lingers in my cravings with a note set in my memory. A good spread indeed: veal bratwurst which was tender to my liking, greens, bacon, mushrooms, fried potato balls, a nicely grilled tomato, soft brioche and of course truffle eggs (additional $3). Even though I preferred truffle on fries, I must agree that truffle on anything is still good. The Truffle Fries ($10.90) here are of a thicker cut. 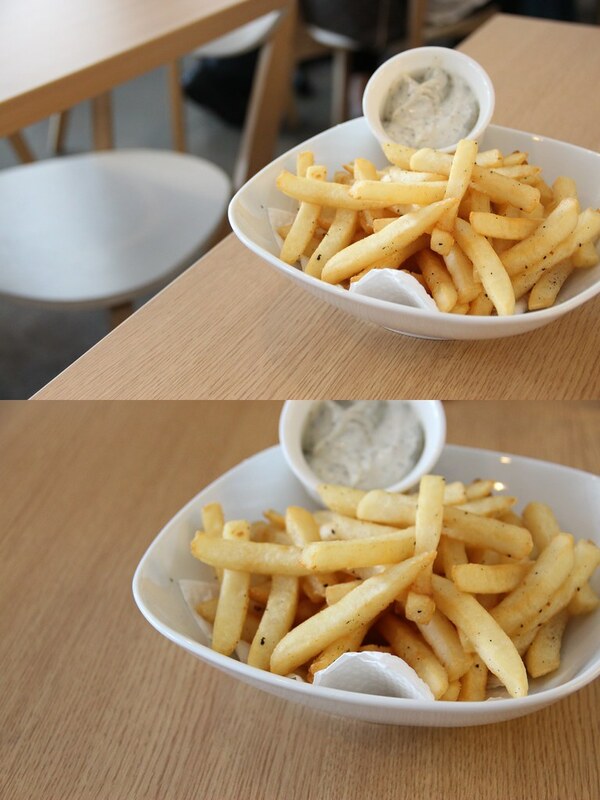 The hints of truffle salt and oil are barely there on the fries, they’re mostly hidden in the truffle mayonnaise. So don’t forget to dip them in! By that time, the both of us were pretty full from such a hearty and filling brunch. Yet, I didn’t want to miss the opportunity for desserts since they sound delicious by descriptions on the menu. Sadly, My Wife’s Chocolate Cake ($8) was quite a disappointment. I would think that a wife has better standards for her chocolate cake. It was undeniably dry and normal with no kick to it. I can imagine a sallow-faced wife. Lucky for Arbite’s Gula Melaka Tiramisu ($8) which saved the day. Having a gula melaka mascarpone made the dessert extra sweet but I’m not complaining. 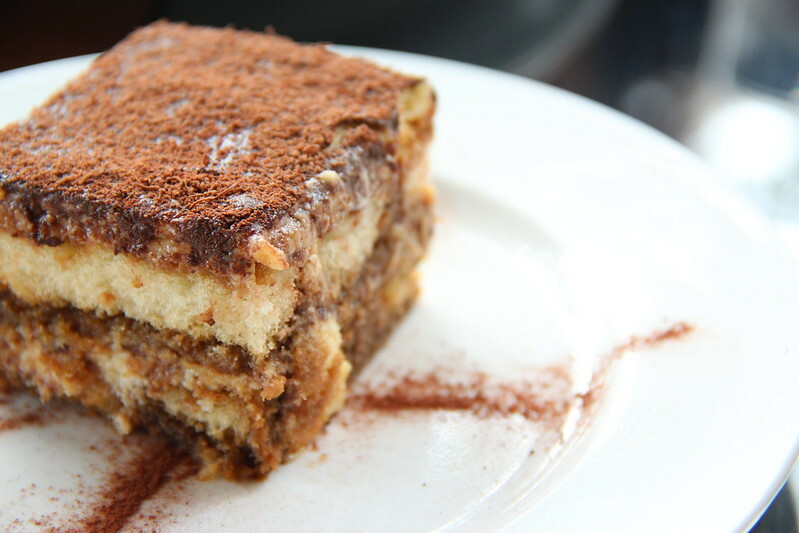 Because of the well-infused gula melaka into a tiramisu, it has turned out to be a unique rendition which is not too heavy on the stomach. 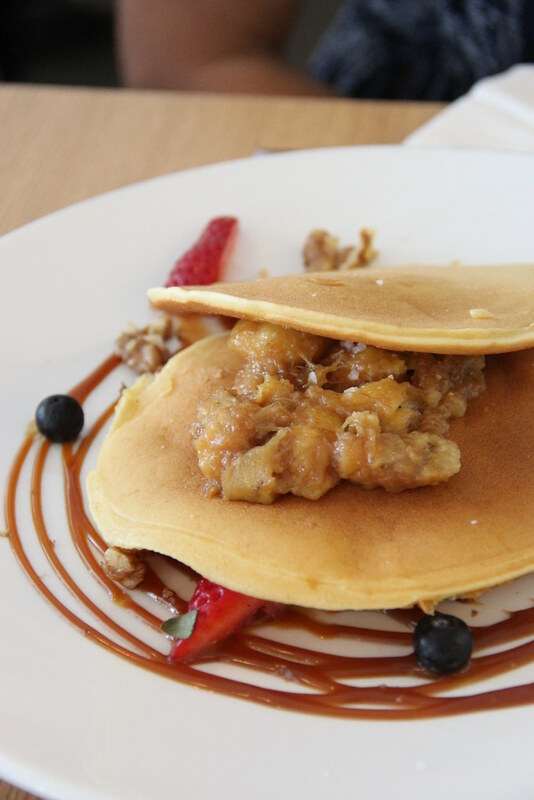 The number of tables here are limited but you’ll be happy that Arbite has opened another eatery, A for Arbite at Aliwal Street. 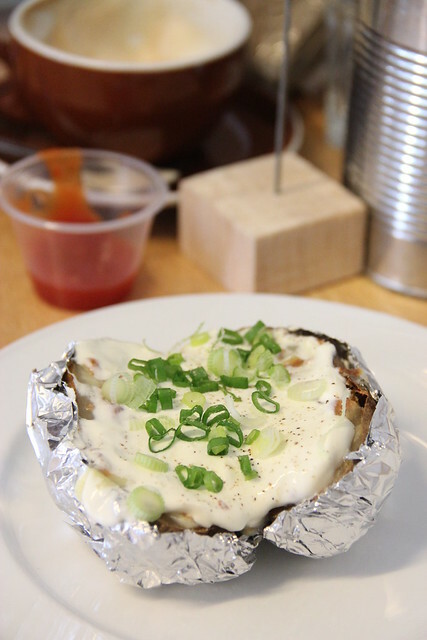 Both the concept and menu mimics the original outlet except for its funkier location. Funny how Punggol Park is one of my frequent haunts yet I never got down to Wild Oats ever since it took over Bliss Cafe sometime back. So on an unfortunate evening which rained, I had no excuse to make about jogging at the park instead of eating at the cafe. Wild Oats is under the same family together with Wild Rocket and Relish, with another branch at Mount Emily. 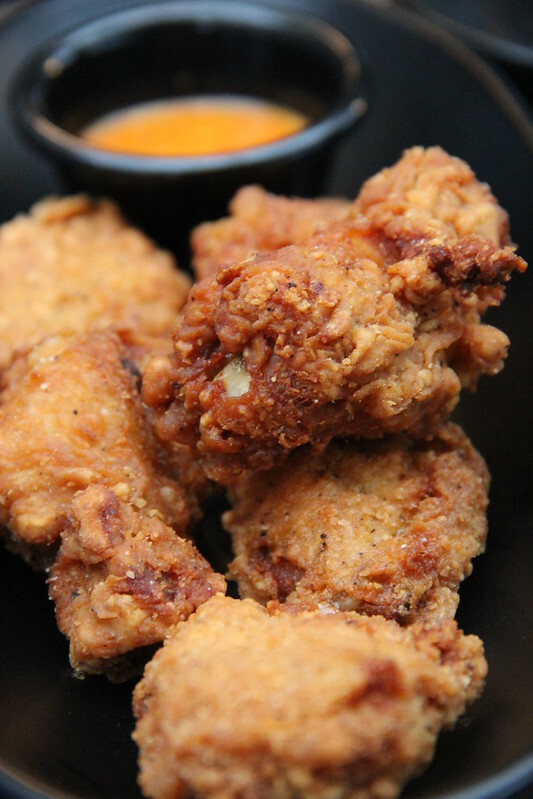 We started off with something safe on the menu – Golden Chicken Wings ($7.8). A good appetizer indeed – what with its crispy, prawn paste-like texture with a tinge of spiciness from accompanying chili sauce. 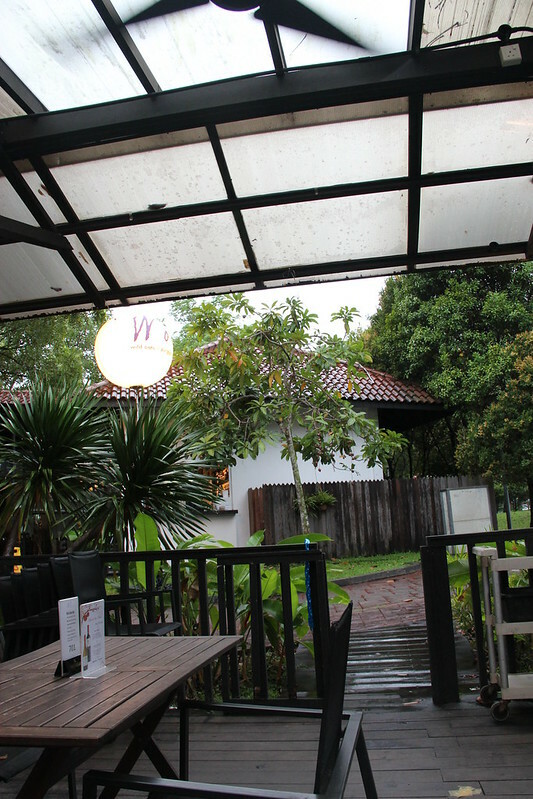 Moving on to the mains, Wild Oats offers both western and local delights such as sambal fish. Ribeye Beef ($17.2) was not that worthy of a mention. The tenderness of the beef was clearly lacking. The Fish & Chips ($14.5), on the other hand, was much more decent with an outer layer crispy enough while the fish remained tender. We were practically left with 2 desserts since the rest were unavailable. The Brownie ($6.3) was not that bad. 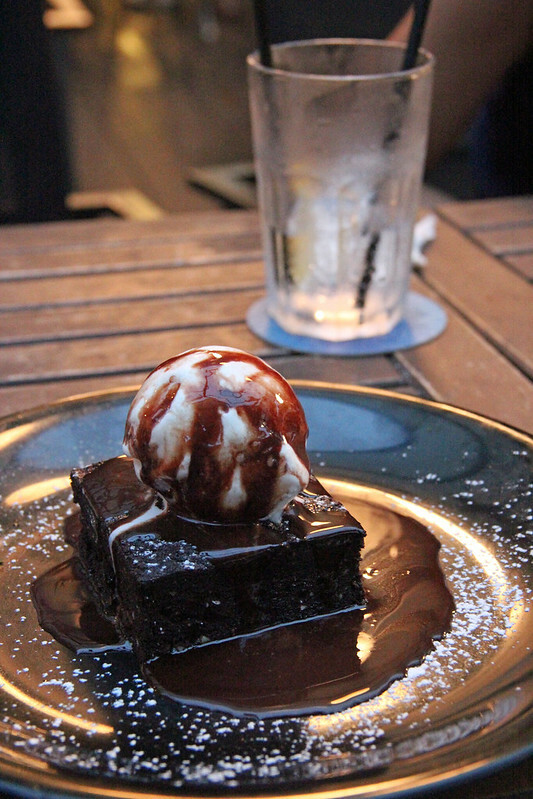 The chocolate fudge brownie was real thick with a nice scoop of vanilla ice cream and heavy drizzles of thick chocolate sauce as well. Wild Oats’ version of the local favorite Chendol ($6.3) has it in a tall drink glass instead of a bowl, transforming it into a dessert somewhat like a cool milkshake or ice cream. Its taste is comparable to the chendol we can find in hawker centers, or perhaps even better than local renditions. Service is a little shaky at times – the crew is mostly attentive but fall short in other areas. Another gripe would be the fact that plain water is not served here. They do a wide variety of booze though, making it a late night hang out as a liquid kitchen. This also leads me to another point that the alfresco furniture has a heavy, lingering feel of beer from people drinking them the previous night. Other than that, the cafe does make a pretty sight from across a lake. It’s been a while since I’ve entered the food enclave of Holland Village so I thought why not take the chance to go back during the eve of a public holiday. Initially my thoughts were set on Mu Parlour but I did a last minute change to this much-newer-than-mu-parlour cafe that I’ve seen some snippets of on Instagram. (I’ll be back for Mu, though). 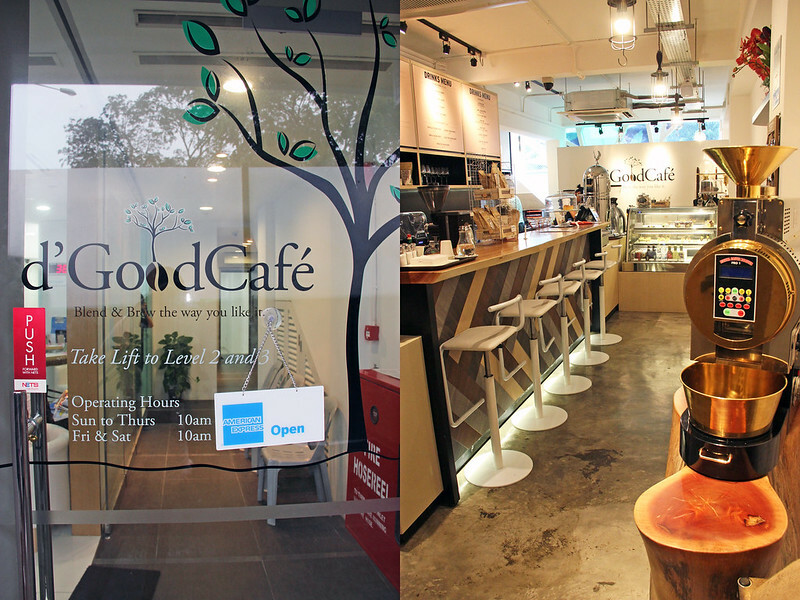 d’ Good Cafe specializes very much in providing the most suitable type of caffeine for you. For a minimal sum, a barista will help concoct a cup of coffee for you based on your likes and dislikes. You can then “save” the concoction under your name for future visits. On to the food. I was pretty disappointed with my Eggs Benedict ($13.5). Appearance-wise, it was already lacking much with a sloppy look to it. You can see from the picture that the egg white for one of the eggs wasn’t even nicely atop the runny yolk. Taste-wise, it was nothing more than average. 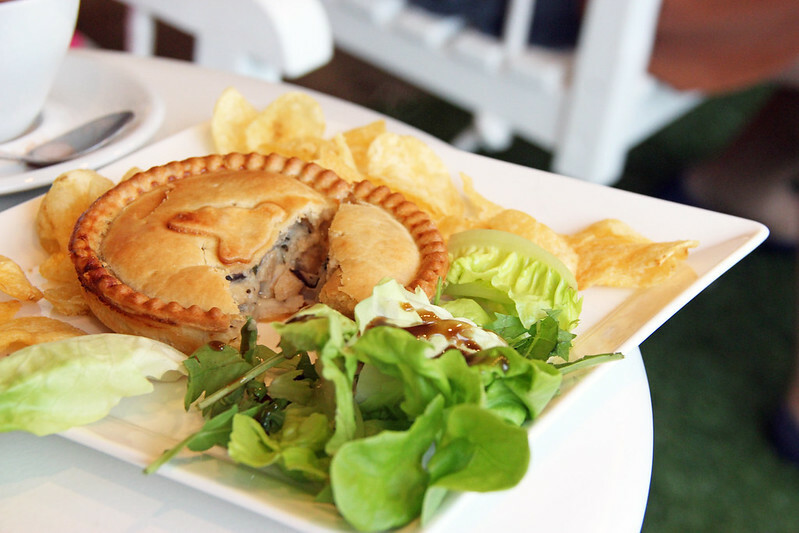 The Chicken & Mushroom Pie ($10.5) on the other hand was much better done with a crispy curry puff-like crust with warm chicken and mushroom bits in it. Although I have since then gotten a bad impression of their food, some reviews do agree that they have decent mains like their pasta and rice. 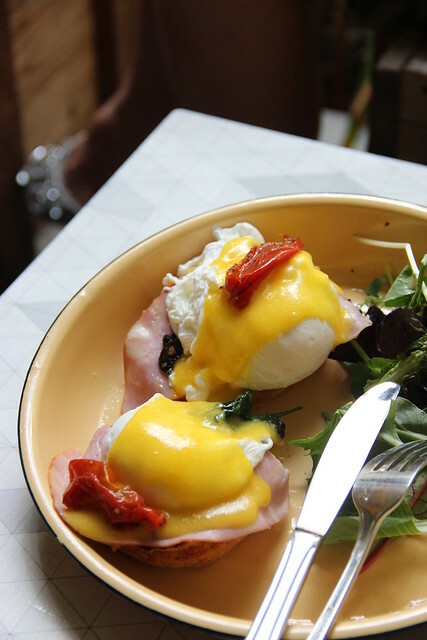 I have seen pictures of their other egg benedicts served to other customers and they sure look a lot better than mine. 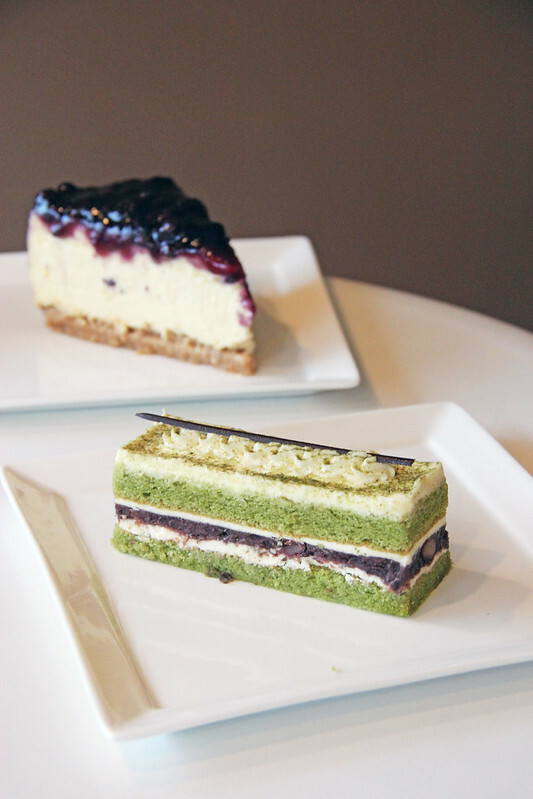 The Blueberry Cheesecake ($8) was a huge slice of cake so be prepared to share. It was so rich with cheese and probably impossible for someone to finish it all by herself after a main course. I ordered another dessert – the Matcha Red Bean Cake ($6). Sad to say, it was rather tasteless except for the layer of red bean in the middle. I was expecting something more but the matcha failed to give off its flavour, resulting in its blandness. I say: Snuggle in their coziness. Get addicted to their house brews. Accompanied by a lava cake, macaron, cheesecake or so. The new (or not that new anymore) branch of Kith Cafe at Park Mall could possibly be one of the biggest trend among cafes currently. A buzz started late last year and as Singaporeans, we go with the trend. 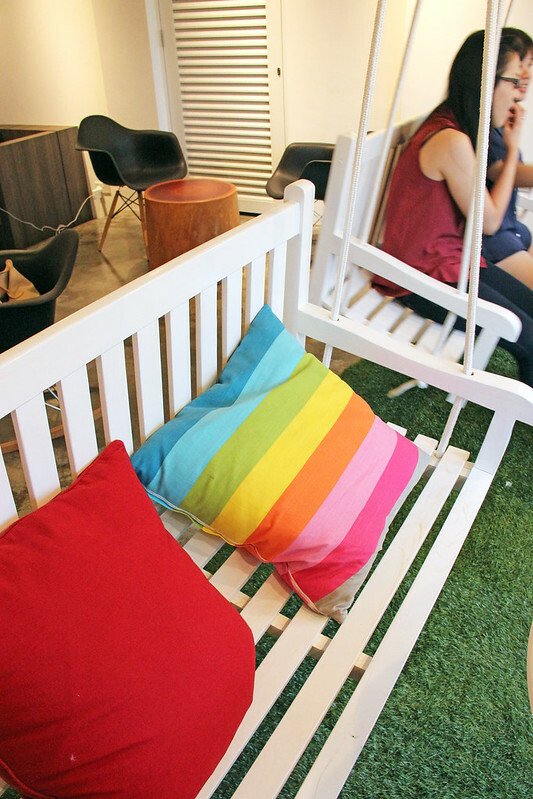 Since then, I’ve made 2 visits to Kith Cafe and it’s easy to know why they’ve been popular for quite a while. 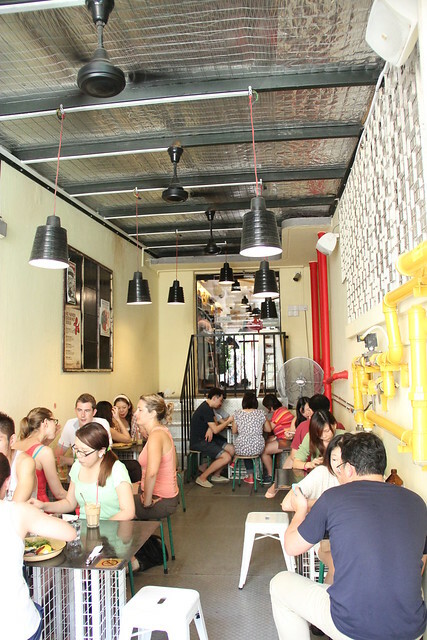 Kith Cafe’s strategic, central location at the less crowded Park Mall is a great advantage compared to its older location at Robertson Quay. The area is also much bigger with both indoor and outdoor seating. 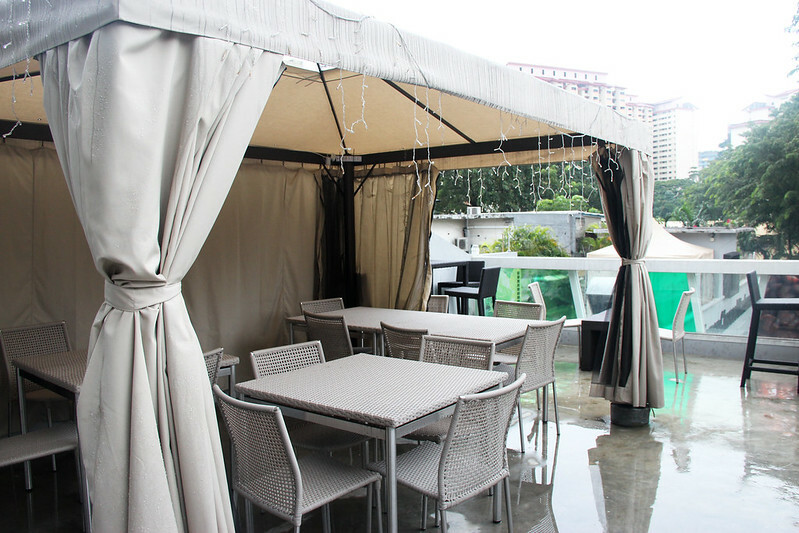 The alfresco area was much more appealing to me compared to the indoor area which had an overwhelming cast of yellow hue from ceiling lights, the best part is that it was hands down, one of the best places for food photography. 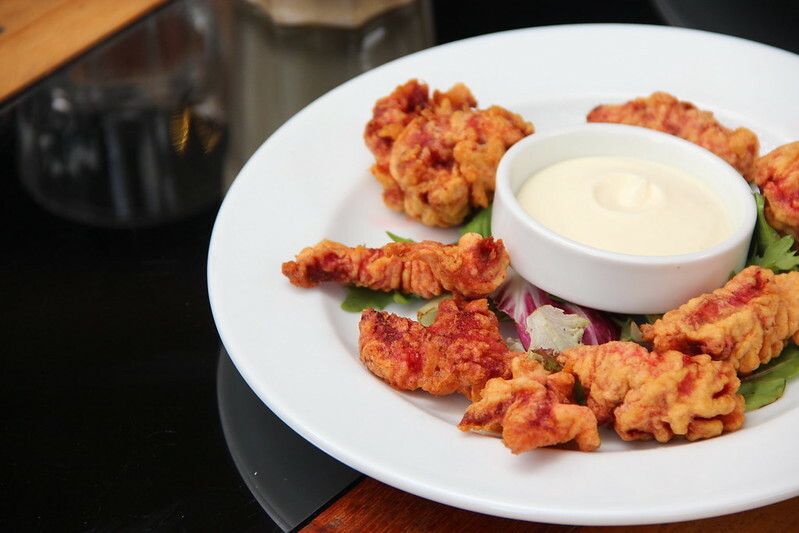 To start off the meal, we chose a random side, the Spicy Batter Chicken ($10). It reminded me of a mix of tikka masala and tandoori chicken, only more crisp. A decent chicken dish to munch on while waiting for mains. On a previous visit, I had their Amatriciana ($16) which was penne with bacon, onion, tomato and parmesan while my friend had another pasta from their lunch specials. Even though alright, I felt they were average and below my expectations. 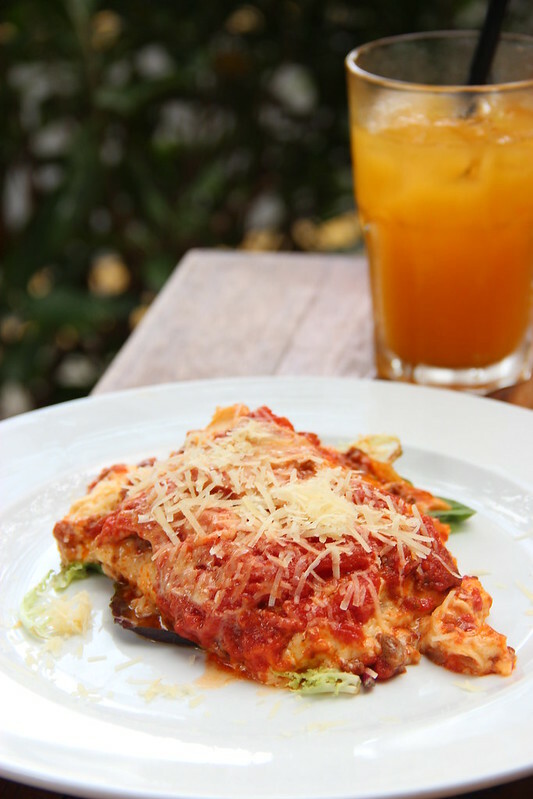 Hence when ordering the Beef Lasagna ($16) on the next visit, I had my reservations. 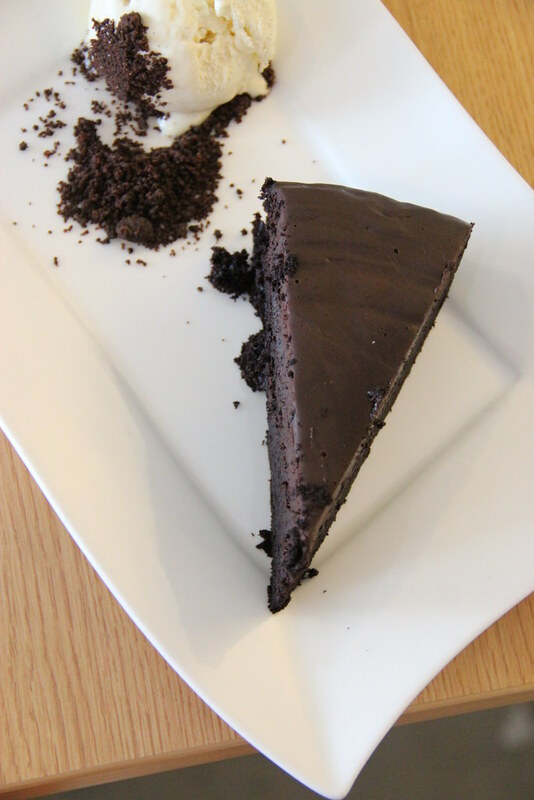 To my delight, it was perfectly smooth, creamy and rich like how I wanted it to be. Even though not cooked in the traditional way, the texture was just right for me. Something worthy to note about Kith is that they serve All Day Breakfast till 3pm daily! Green Eggs w/ Toast ($14) is one of the dishes on the breakfast menu and I had that for myself. Relatively a simple breakfast dish, but definitely tasted more than that. 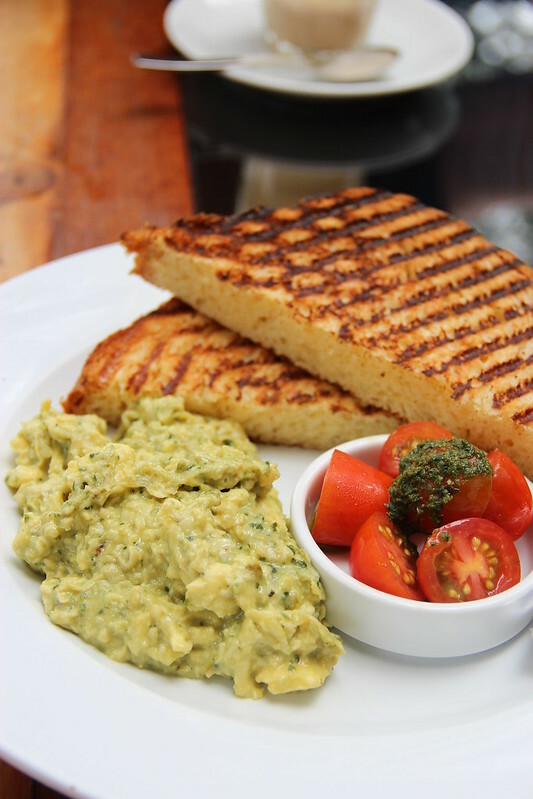 It was of scrambled eggs infused with greens instead of the usual side salad together with basil pesto atop fresh tomatoes and toast which smelled of warm butter and buttermilk. Yumm. Few desserts are offered at Kith so I opted for the Tiramisu ($7). I wouldn’t have expected it but my tiramisu was nicely done and essentially a good piece of cake for a tiramisu-lover like me. Other than the bigger space, the menu at Kith Cafe at Park Mall is also much bigger as well, with breakfast items, sides, salads, starters, sandwiches, pastas and a whole lot of beverages. 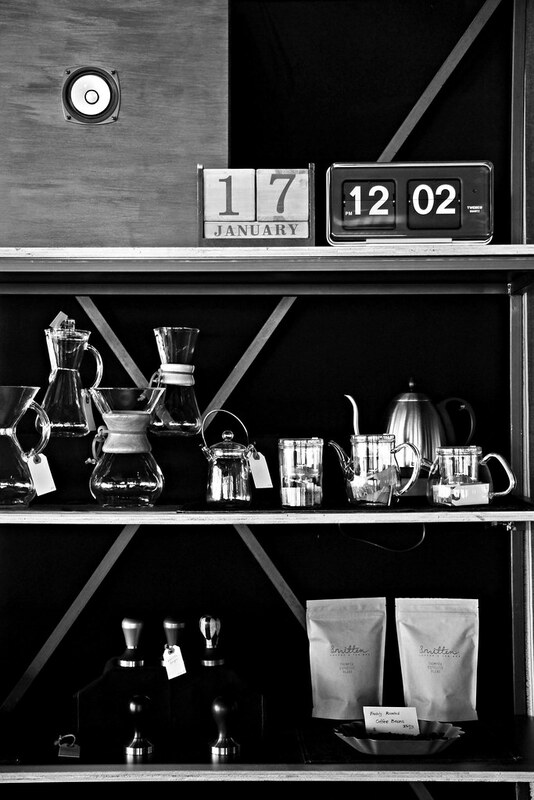 I’ve got a huge eye on cafes that serve everything with consistent quality and I think this place made it to the list. On both occasions I managed to try 3 of their milkshakes altogether (hazelnut nutella, caramel cookie and banana peanut butter) and I loved their richness. Seems crazy though. I’ll gladly pick up other options like their coffee, tea or juices if I ever get back there. Chances are, soon. 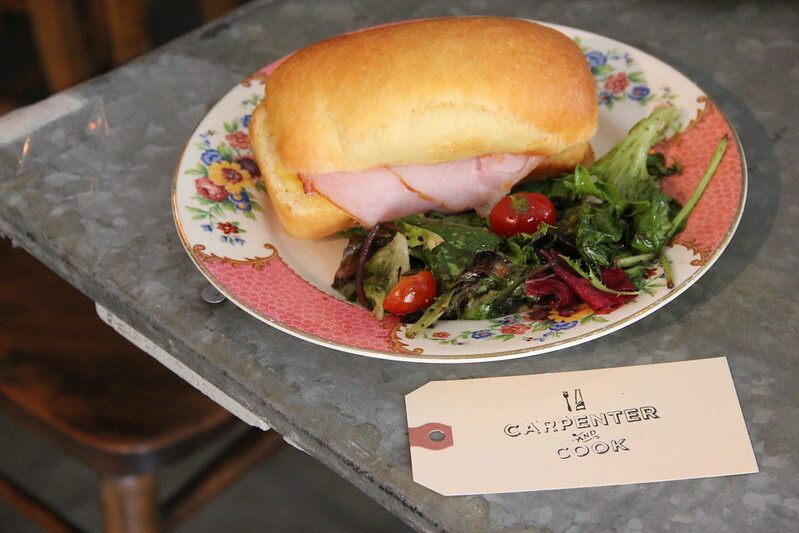 Carpenter & Cook became a hit late last year as an artisanal cafe with one of the coolest decors and food. 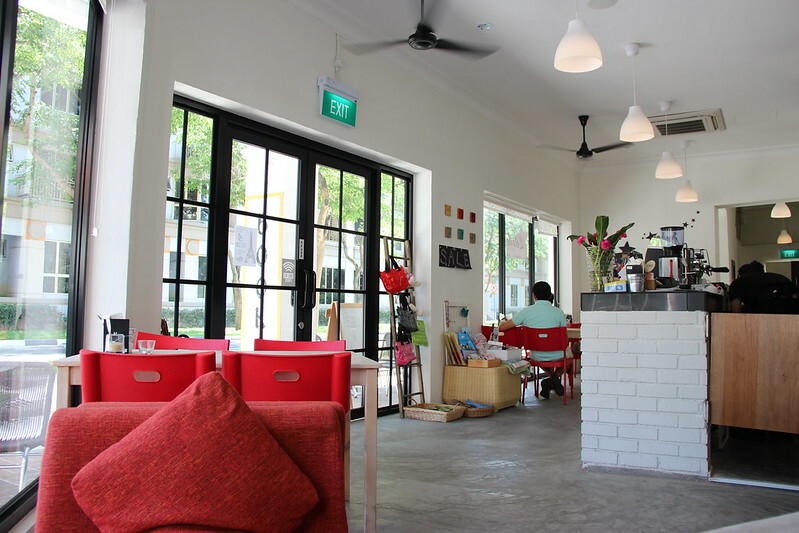 Despite the far off and rather inaccessible location at Lorong Kilat (a remote corner in Bukit Timah), foodies and cafe goers in Singapore are hardly deterred from exploring this food enclave. 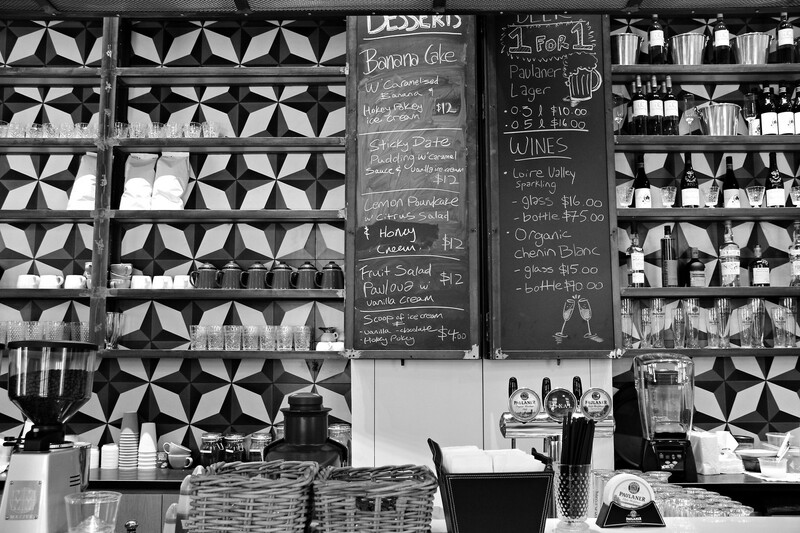 The vintage layout of the entire cafe from the exteriors to the interiors were meticulously handled with all sorts of quirky little things that matched. Somehow it reminded me of a fairytale setting where rabbits hopped among green, dreamy grass… Anyway, every piece of furniture and decor was handpicked by the founders of C & C from all over Europe. 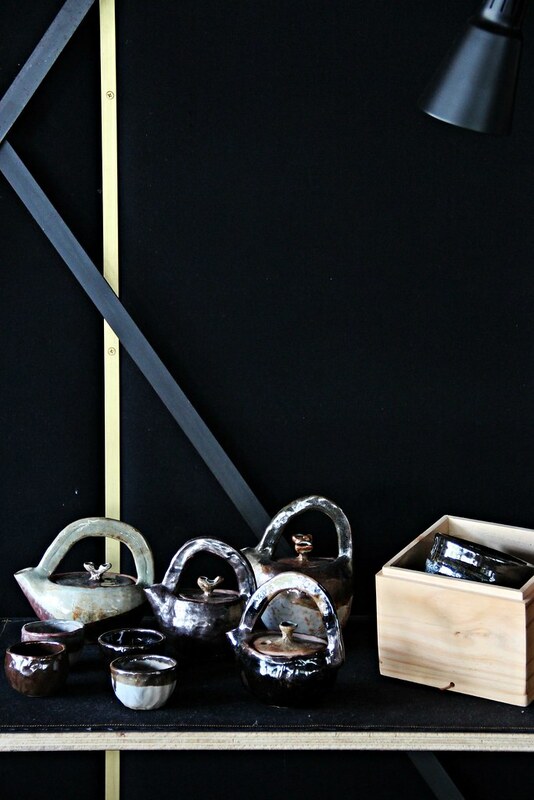 The best part is, most of them are for sale so you may wish to enquire about them. 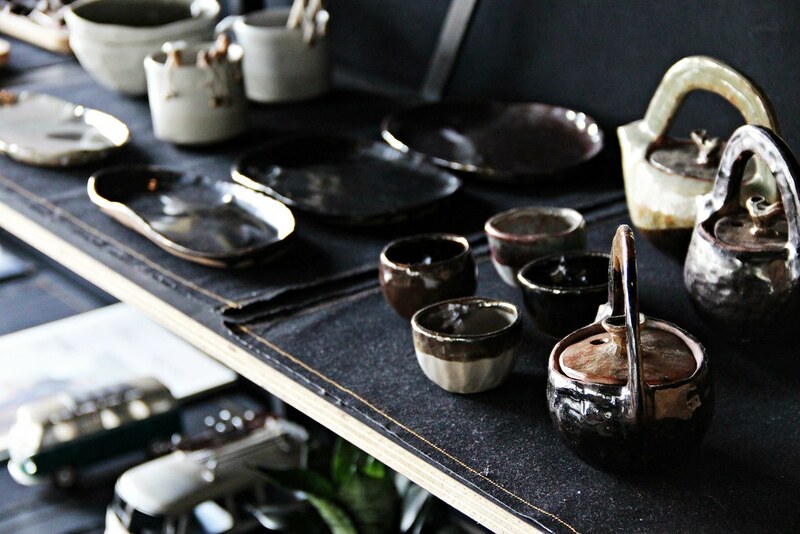 Moving on to the food, the treats from C & C are baked at limited numbers and in irregular intervals so new items may be put on the display while you’re eating. The Passionfruit meringue ($6.20) is one of their signatures (especially on Instagram). 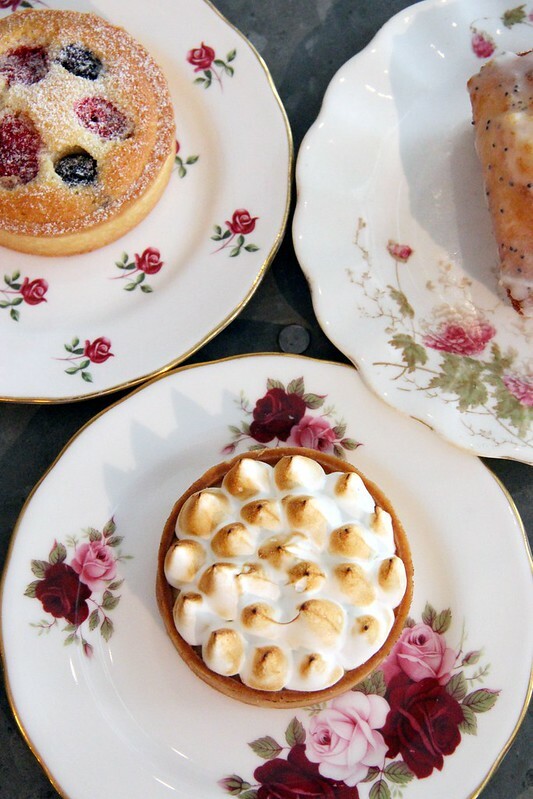 This tart, even though similar in appearance, is different from the lemon meringue. Instead, I liked it a lot more than lemon meringue as I thought that the passionfruit was a better, more suitable ingredient than the odd, sour lemon. I guess it’s a matter of personal preference. Sadly, the only savory item we had that day was The Picnic Sandwich ($8). It was a simple affair with ham and cheese and side salads but (not kidding) it was one of the best sandwiches I’ve had in Singapore compared to plain, boring other ones. Truly a savory piece. My only regret was not trying their quiches (which I heard were good too). Both the Lemon Drizzle Loaf ($5) and Frangipane fruit tart ($6.20) served as light bites for me. The former was somewhat like a lemon sponge cake only denser and more condensed with lemon. I felt like it was a better alternative to replace a lemon tart. Moving on, the Valrhona Sea Salt Caramel Tart ($6.20) was a much “heavier” dessert with its thick chocolate accompanied by sea salt caramel throughout the entire tart. Perhaps it may prove to be too much for some people to take it but I found it alright. 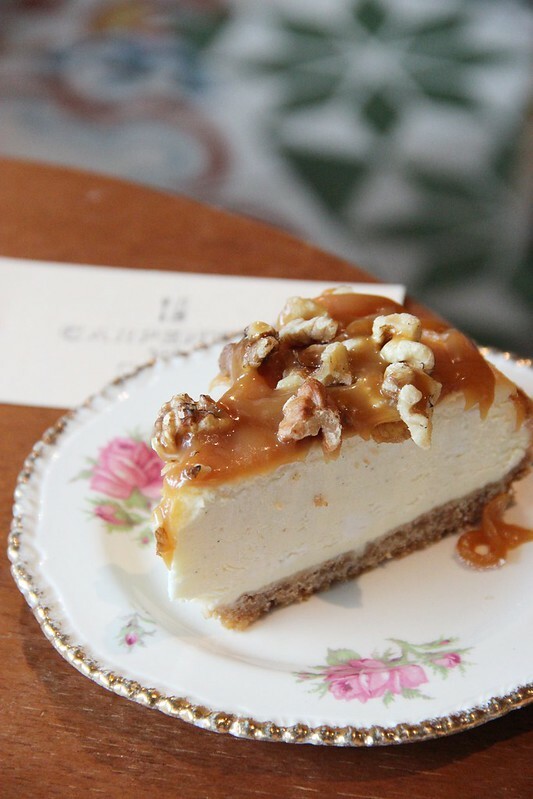 We ended our hearty meal with the Caramel Walnut Cheesecake ($7). It was a good ol’ cheesecake made more outstanding with of course its caramel and walnuts. Though I’ve had memories of better cheesecakes, this one is still rather nicely done with some parts to rave about. 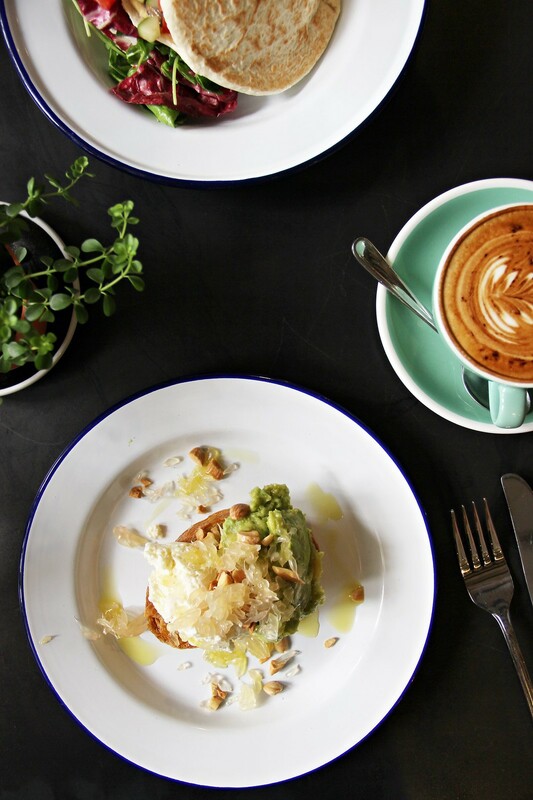 Put good food with a cosy atmosphere and you get one of my favorite cafes in my food list. 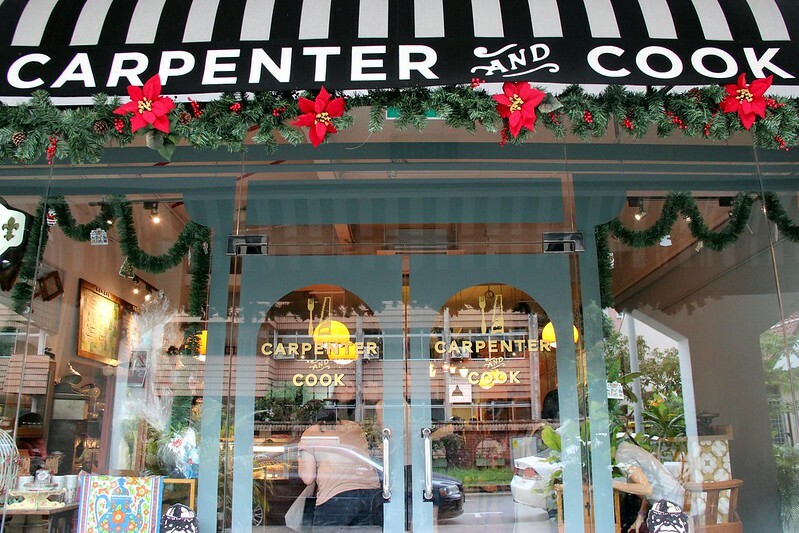 Carpenter and Cook has just the right thing for me and that is quality. On your way out, don’t forget to get their homemade jams at $12.50 a bottle or even their tiny treats of biscuits, marshmallow and granola. Reading reviews after reviews of L’etoile Cafe got me so excited to hunt it down. There is this joy that cannot be explained when you find a new place on your own, just based on a digital map of grids and grids. But anyways, L’etoile is pretty much accessible from Farrer Park, just a couple of streets away. Being there on a weekday afternoon, I had almost the entire cafe to myself and my eating companion. No wonder it is a favorite hangout for local stars. 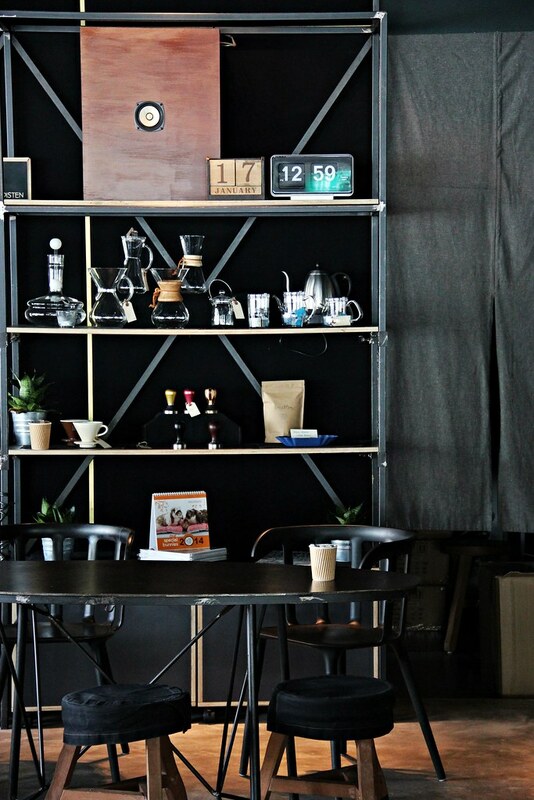 The cafe consists of two storeys, with the first storey being more structured like a cafe and the second storey almost a fairytale-like corner with all sorts of furniture. 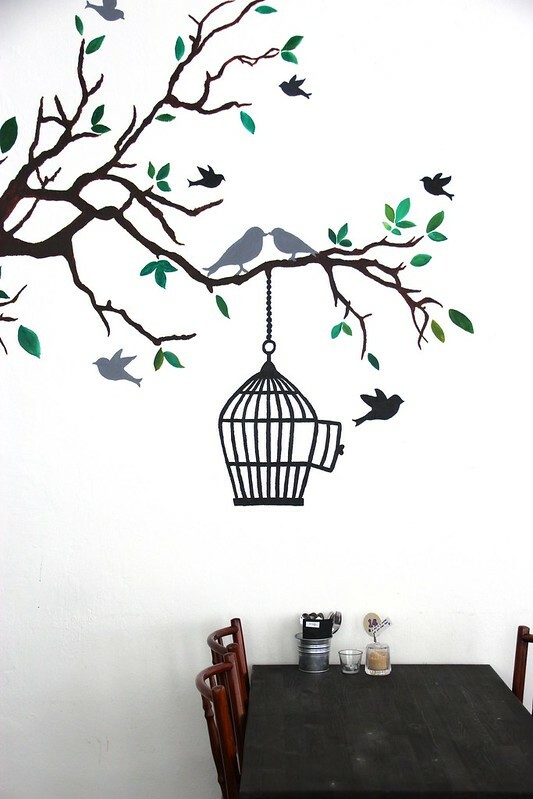 Many would associate L’etoile cafe with their pretty wall decor of bird cages and tree branches, all beautifully painted by hand. A corner re-enacts the scene of a child’s playroom; another by the windows with lace curtains gives it a classic French environment. 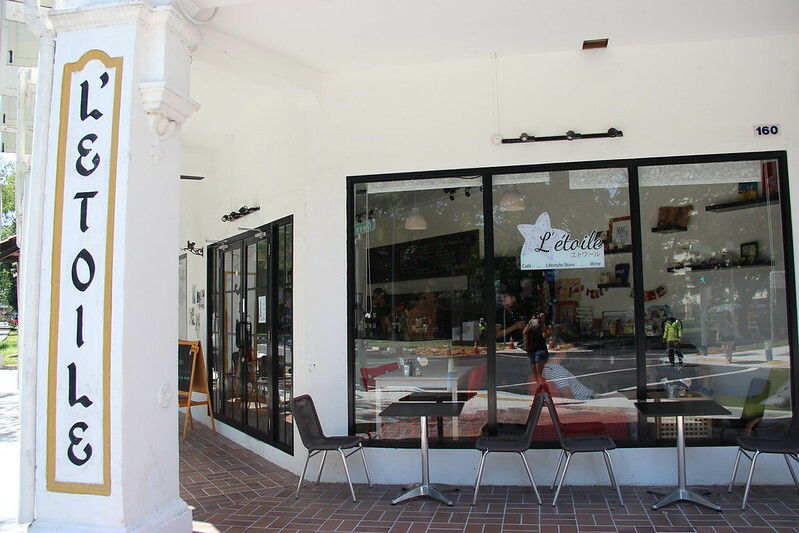 L’etoile is a Japanese-French indie cafe serving coffees and simple western dishes. There is an all-day breakfast menu much to patrons’ liking including the usual big breakfast ($14.9) and eggs benedict ($12.9). 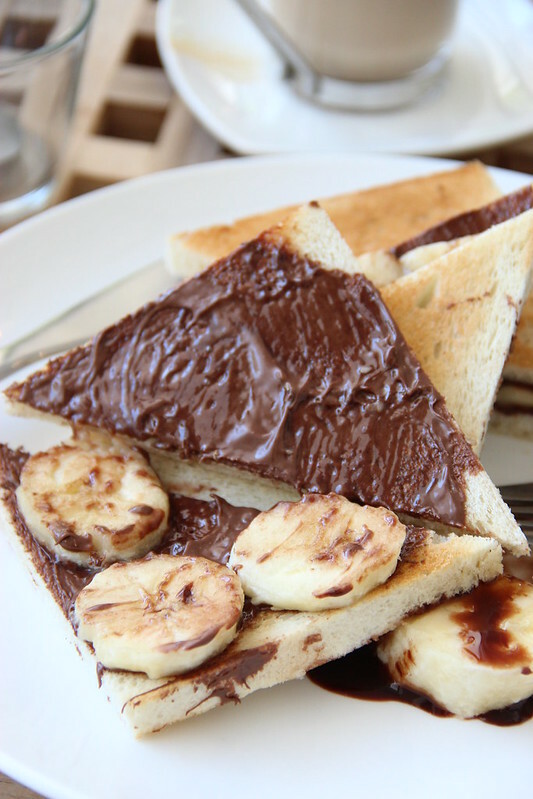 The Banana nutella toast I had was a simple affair but nothing could go wrong with nutella and sliced bananas on toast. Not a thing seemed out of place and it made for a sinful yet fulfilling breakfast. 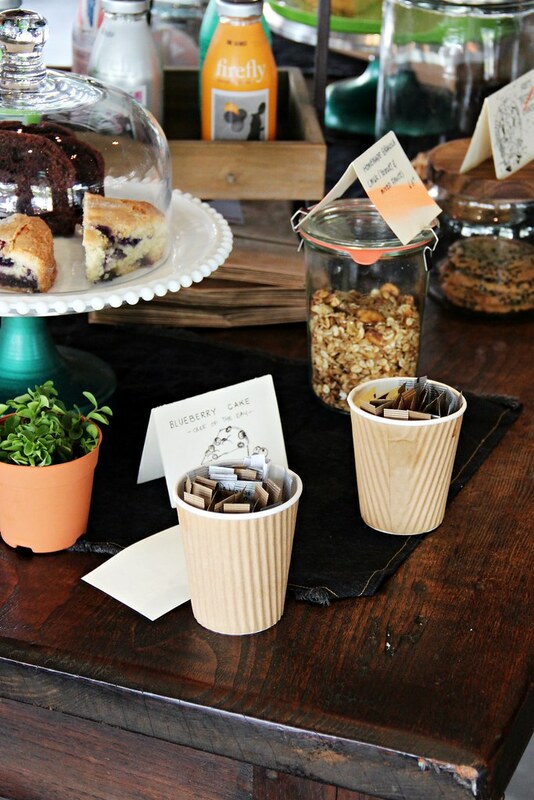 Of course, coffees are a must have at indie cafes. 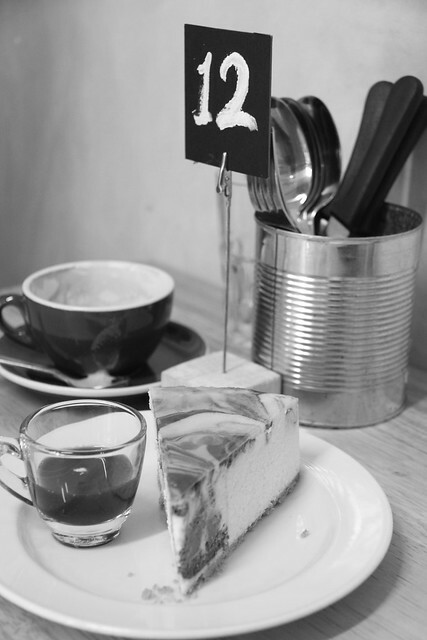 I had a cup of latte which came with a piece of old school biscuit. 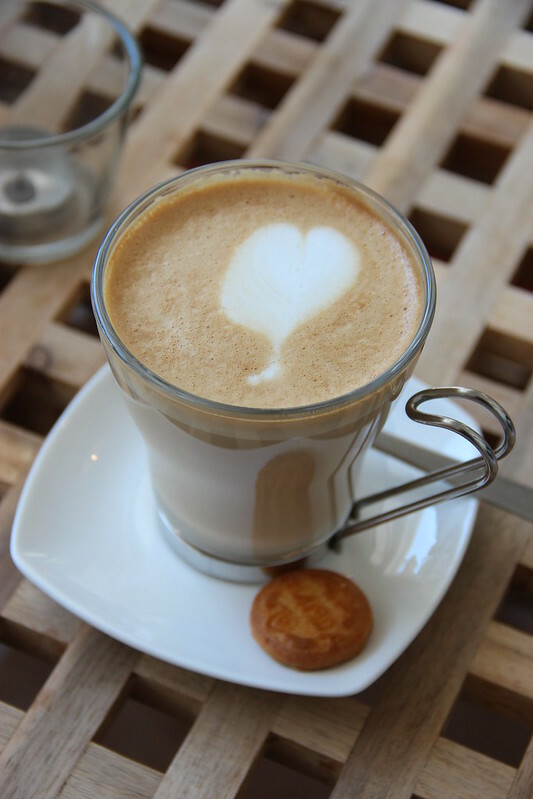 Despite the fact that the coffee was not hot enough for my liking, it was rather a good cup of latte, taste wise. By night, wine is also served, making it a romantic hole. I imagine star and moon gazing through the french windows with laced curtains – I wonder if it is as effective realistically. 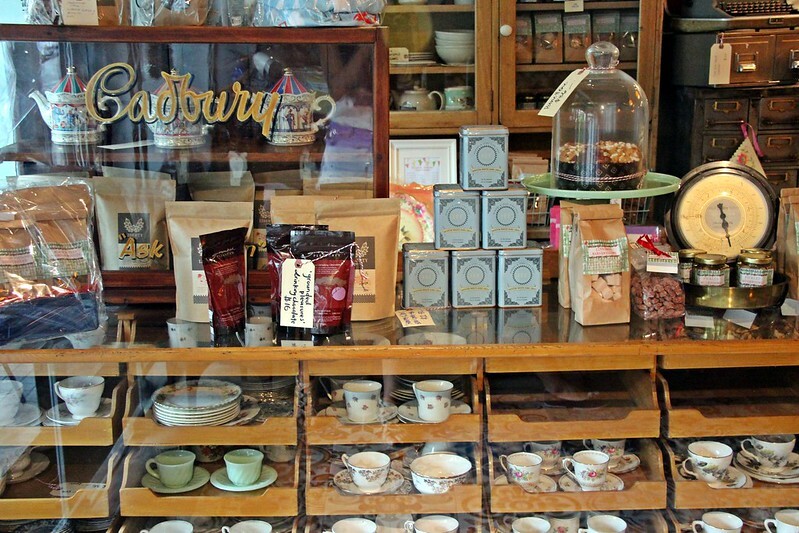 Besides the food, L’etoile cafe is also a lifestyle store with all sorts of cute/quirky items which you can choose to purchase. And also, reading while dining in l’etoile seemed to be something that everyone did. The place was a great spot to do so. Spr mrkt (read: supermarket). 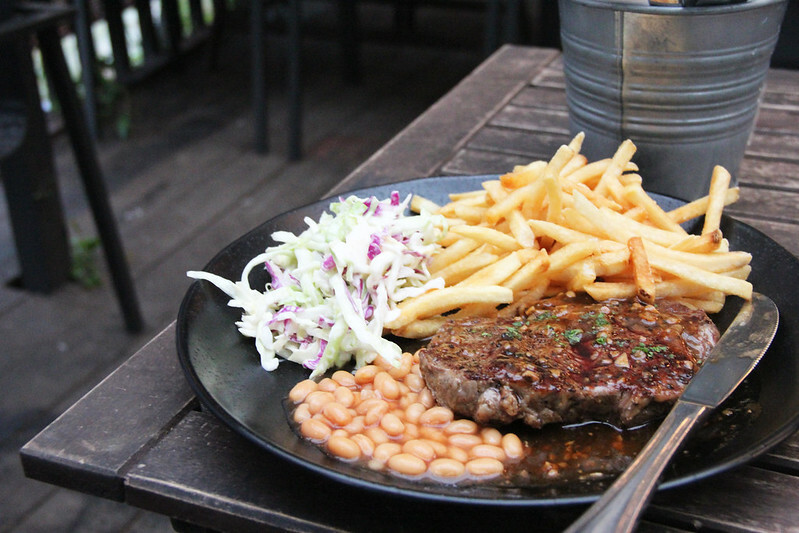 This recently opened eatery along Tanjong Pagar has been getting the attention in the media. It has the prospect of a eatery and a retail corner at the same time and perhaps literally like a supermarket. The space inside can seat no more than 25 people yet I am amazed by how such small eateries can be so charming. 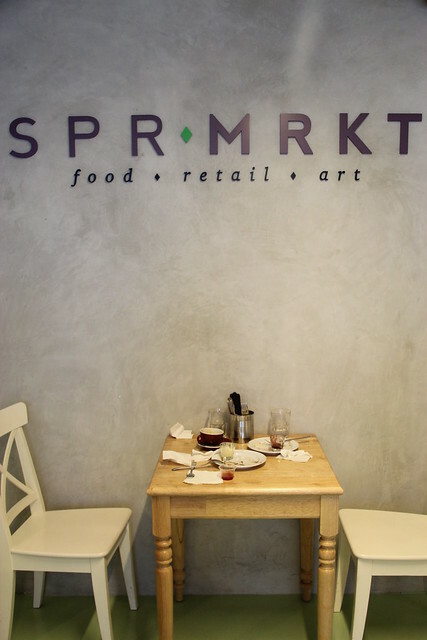 Best part about spr mrkt is that it’s concept is kept simple and clean in a very chic way. The menu at SPR MRKT changes daily with a small selection to ensure that the food maintains its quality and to minimize food wastage. 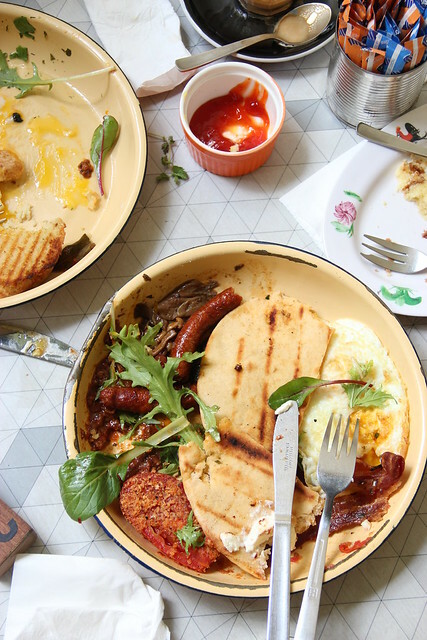 On Saturdays, a brunch menu is replaced with the norm for the entire day. Foodwise, I was pretty impressed by their standard and quality. First we had Fork Mashed Potato ($6) as a side. The mains available on that Wednesday were a duck sandwich, penne and pork ribs. I opted for the Duck Rilette Sandwich ($12) and found it great. 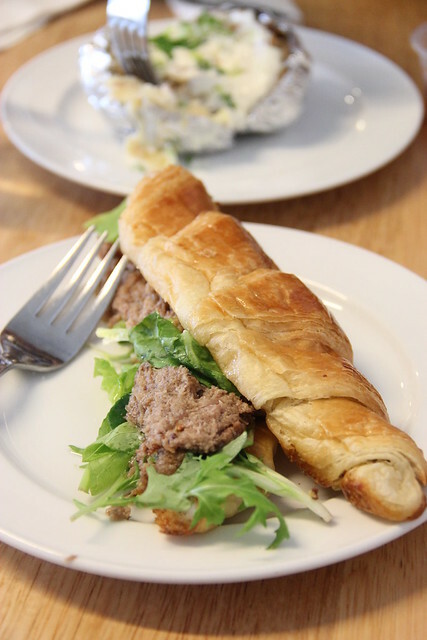 Despite the small dish, the croissant, with that certain type of mustard, went especially well with the shreds of duck meat. 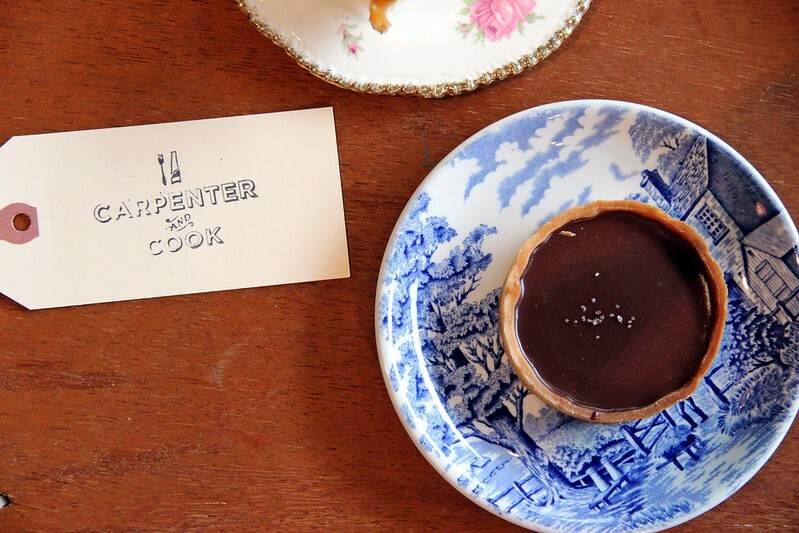 The small bites did me well as I had the space for desserts – pastries here are not to be missed. What I like about the pastries and tarts here is that they are rather special and their versions are difficult to replicate elsewhere. The Marble Cheesecake with Homemade Strawberry Sauce ($9) grew onto me immediately, being an avid fan of cheesecake. The marble element went smoothly well with the cheesecake and definitely a cake I wouldn’t not be able to finish. 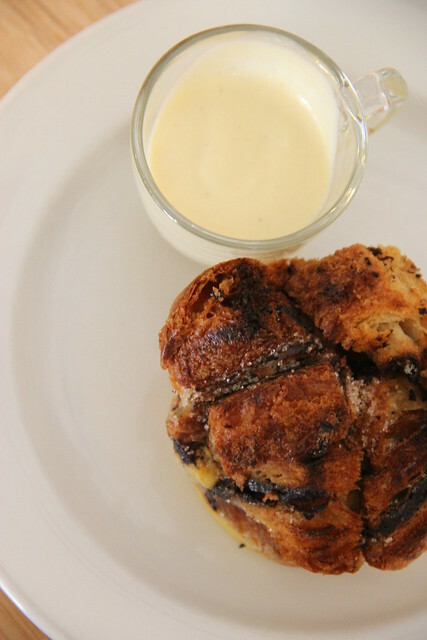 Other than that, I also tried their Bread Pudding with Vanilla ($6) – light, fluffy and warm. A very good way to end the lovely lunch I had at spr mrkt. Also: Don’t miss their tagliatelle carbonara on Tuesdays, pumpkin and saffron risotto on Fridays and the english breakfast on Saturdays. 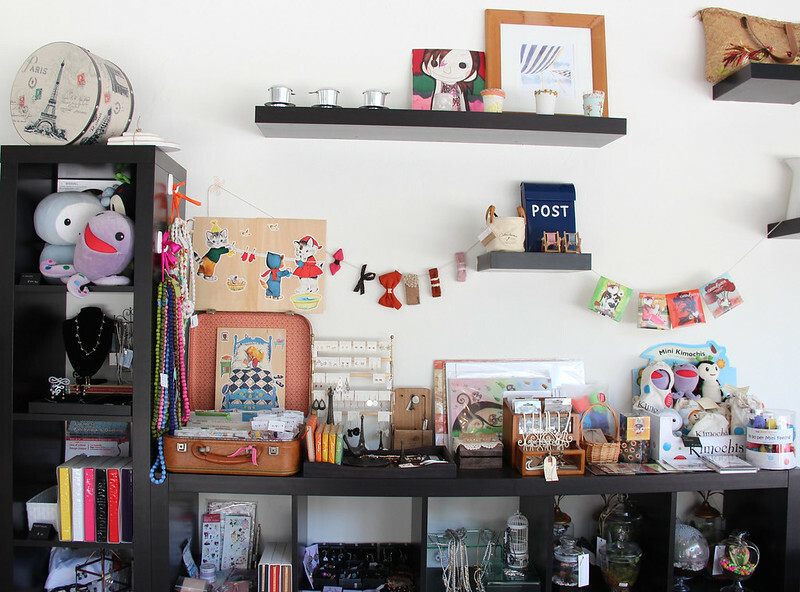 A wall of shelves next to the dining area is dedicated to selling all sorts of things – notebooks, wine glasses, eggs, carrots and even cookery. 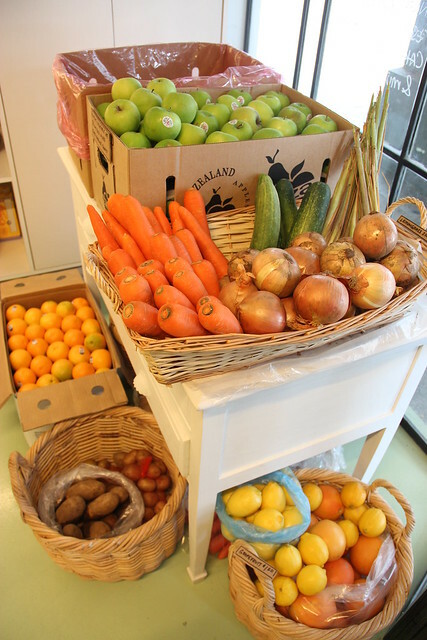 There is even a fruits stand standing in front, so now you know how it lives up to its name. 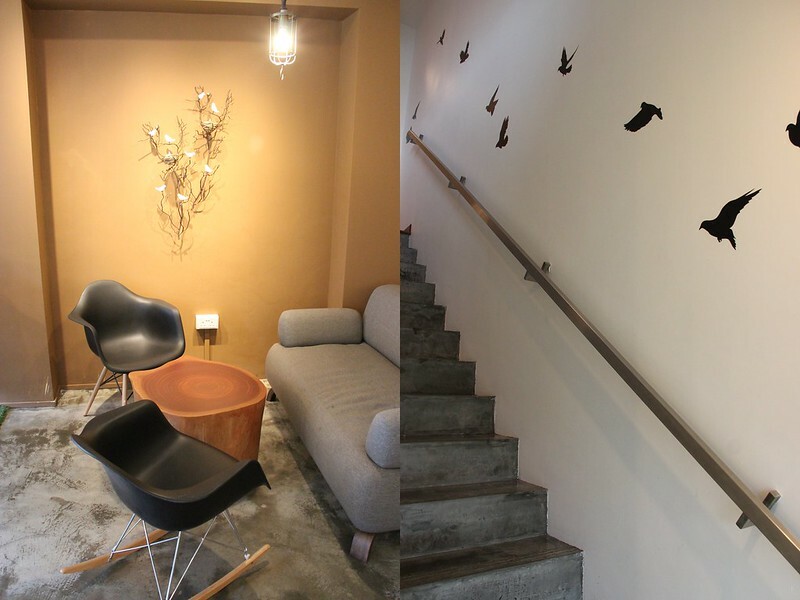 Nothing’s old with the Tiong Bahru estate nowadays, what with the sprouting of chic cafes and retail stores among the neighbourhood. Yong Siak Street is merely one of the many lanes of goodies. Here you can find unique bookstore Books Actually and cafes like Open Door Policy, PoTeaTo and Centre Ps. Despite the sweltering heat, the queue was long on a Saturday for lunch and it’s amazing how it is getting so well-received with the people. The interiors are packed to the brim, with minimal space for moving about. It leads to another dining area which is open air at the back. Coffee takes priority at 40 Hands. 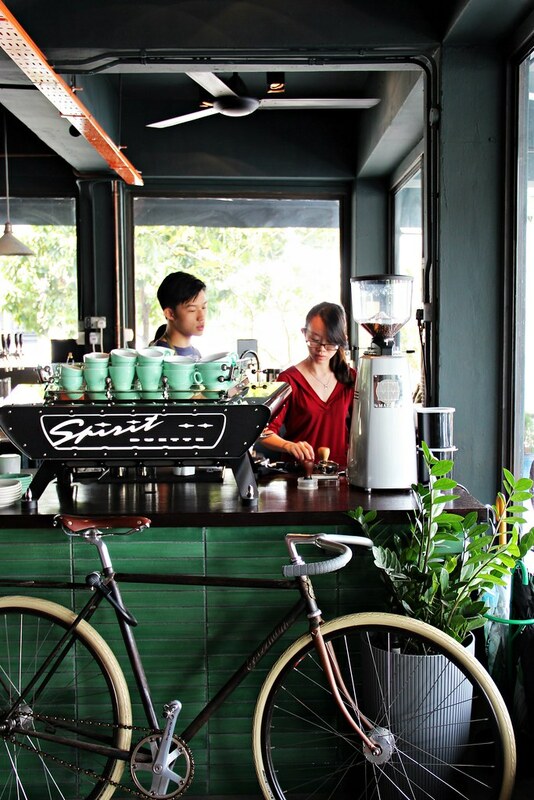 Head barista Mr. Grover believes in promoting specialty coffee in the coffee scene of Singapore and has never stopped to do so. 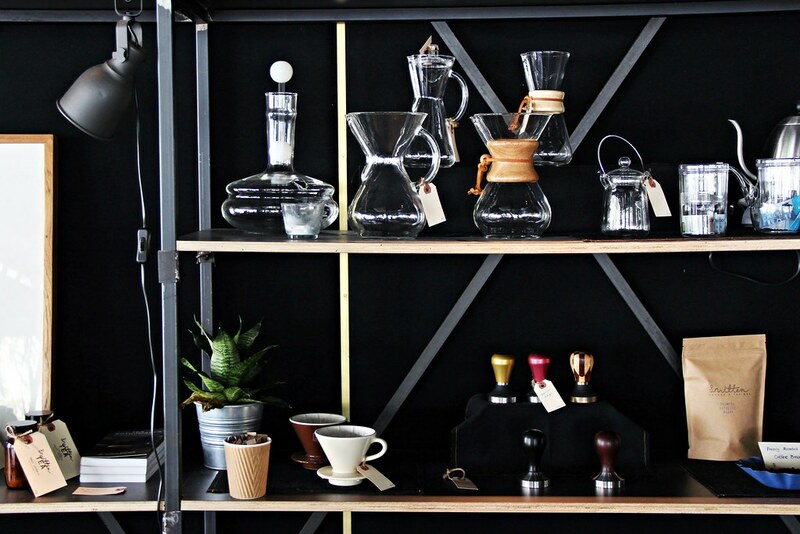 Special house blends and single origin coffees are offered with quality. We had a Jaffa Swirl ($3.50) to start off with as appetizer. Such pastries are available at the counter daily and definitely the best choice to go with the must-have java drinks here. Remember the extra soft red bean buns from Barracks Cafe? They originated at 40 Hands and it now makes a lot of sense that Tiong Bahru has the best paus. We had a Latte ($5) and Iced Mocha ($8). Both I found especially caffeinated, hence a definite answer to coffee lovers out there. Other than coffees, pastries and sandwiches which are made daily, a brunch menu is also available from Fridays to Sundays. (hooray!) However, I felt that the Eggs Benedict ($14) was nothing extraordinary other than the fact that it came in a bigger serving. The Big Boy Breakfast ($18) was a feast. Choose from which of those to start first: the mushrooms, bacon, tomatoes, greens, eggs done the way you want it, sausages and toast. Perhaps the brunch items did not deliver to my expectations, so the safest bet is to get their lighter sandwiches – the Jamaican being one of the favorites and a cup of coffee. If you don’t like crowds and noise it is probably the best option to be there on a weekday and enjoy some peace amongst the quiet estate. I’ll be on my way to the many, many other new places opened recently, so which is your favorite?